Story: When super villain Megamind defeats his archrival Metro Man, the world should be his oyster. 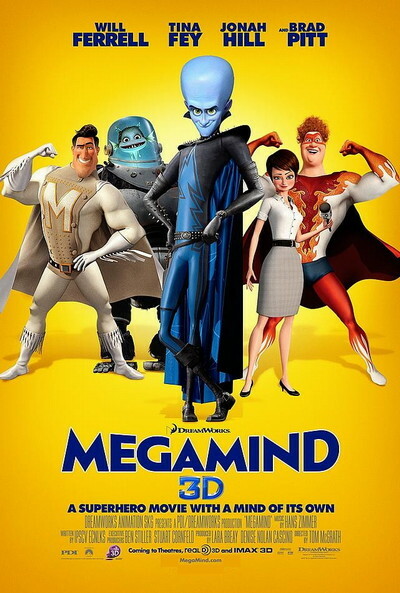 But instead, Megamind falls into total despair. It turns out that life without a rival is life without a point for him. So he creates a new superhero rival. Unfortunately, the new hero wants to be a super villain too. Who can we turn to? Who has what it takes to stand up to this menace? Who will defend the innocent? Megamind! That's who.